For use with Shimano 105 RD-5700 rear derailleurs. Would you please let me know if this will work the RD-M510 Deore derailleur? 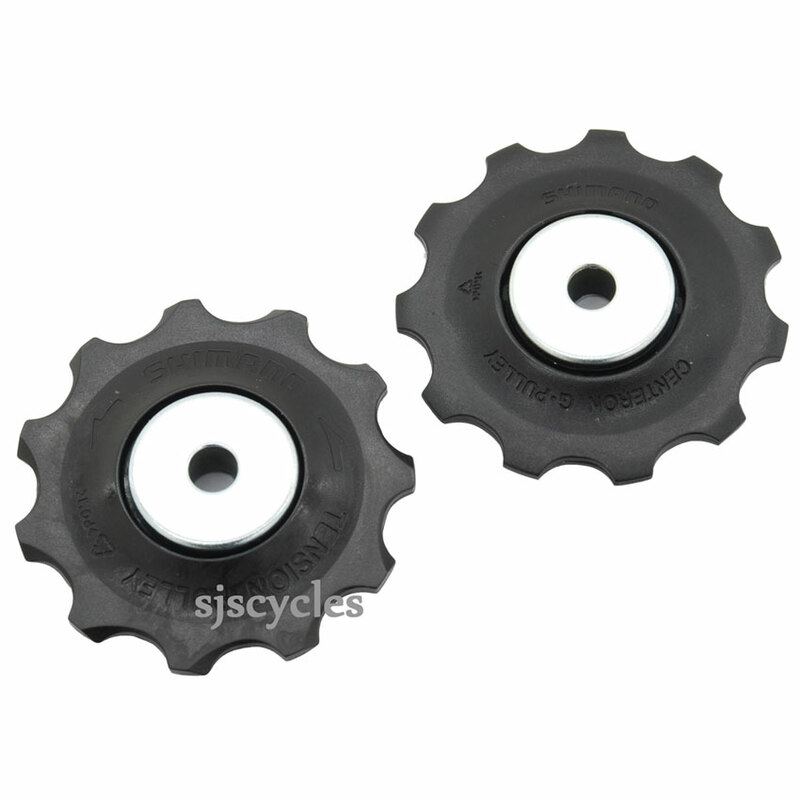 No, you need - SJS Cycles part number : 47330 for the upper guide pulley, but the lower tension pulley is no longer available. will these work with a 9sp sora rear mech? Will These Fit Rd-5600 Rear Mech? These jockey wheels should be fine for use with your RD-5600 derailleur. These jockey wheels are the same size and fitting so should be fine for use with your RD-M531 derailleur. Hi, this item is listed on Shimano's docs as part of the RD-4600. And the jockey wheels from an RD-3500 are listed as a 'B' match for the 4600. Would it work the other way round - ie would this item be okay in an RD-3500? (Actually for an 8 speed RD-2400 but 3500 is listed as the same pulleys. I don't dare buy the RD-2300 wheels as I think the tension pulley is too big for the cage.) Thanks! It does work the other way as well so you would be fine to fit these to your RD-2400 derailleur.